Well I’m about to change your life! 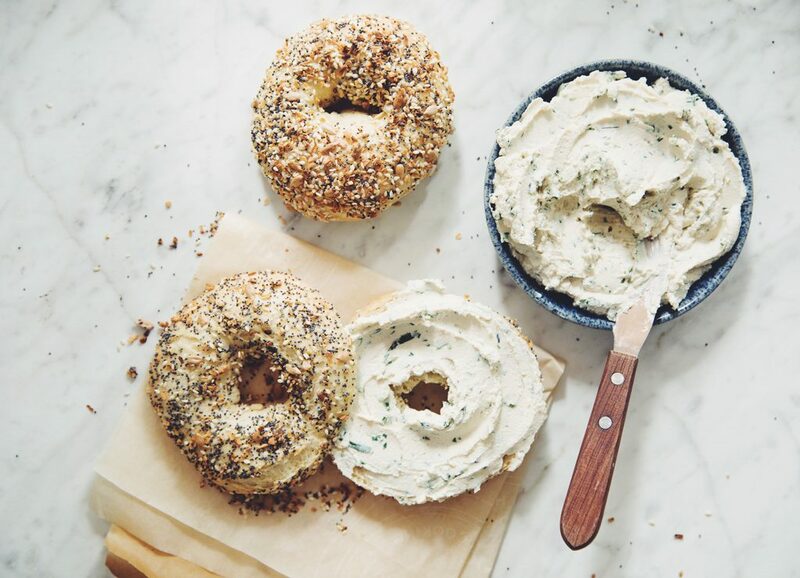 You can make these handmade everything bagels and herb & garlic cream cheese at home and indulge on the daily. 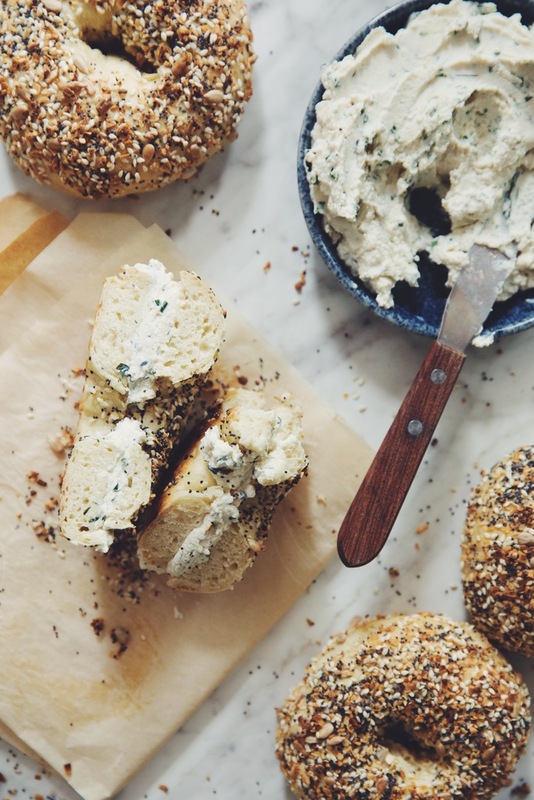 I’ve been imagining recreating this classic comfort for a while now since I used to be hella obsessed with eating everything bagels and herb & garlic cream cheese from Tim Horton’s in my pre-vegan days. I don’t understand why this popular Canadian chain won’t make any vegan options or serve nondairy milk for the coffee, but sometimes things just remain mysterious. Regardless, who needs them when you can be a kitchen wizard and impress all your friends with my help! 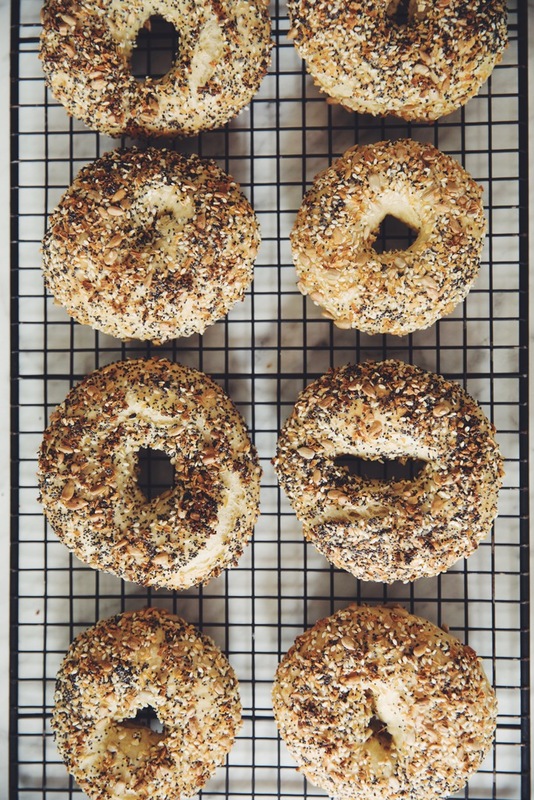 These aren’t nearly as complicated as you’re probably thinking they are to make and this cream cheese is going to be in heavy rotation from this moment forward. TRUST ME! Just a note about the tofu. There are various textures of “firm” tofu depending on the brand you buy. The best one for this is a firm tofu that comes water packed. I usually buy the brand Wildwood. This is a bit softer and has more moisture then those really crumbly bricks that come vacuum sealed with little to no water in the package.